Bee-friendly community gardens: Impact of environmental variables on the richness and abundance of exotic and native bees James C Makinson, Caragh G Threlfall, Tanya Latty. Urban Ecosystems 1-16. Collective decision making in the red dwarf honeybee Apis florea: do the bees simply follow the flowers? How does a swarm of the giant Asian honeybee Apis dorsata reach consensus? A study of the individual behaviour of scout bees James C Makinson, Timothy M Schaerf, Atsalek Rattanawannee, Benjamin P Oldroyd, Madeleine Beekman. Insectes Sociaux 63 (3), 395-406. Honeybee linguistics—a comparative analysis of the waggle dance among species of Apis Madeleine Beekman, James C Makinson, Margerite J Couvillon, Katherine Preece, Timothy M Schaerf. Frontiers in Ecology and Evolution 3, 11. Consensus building in giant Asian honeybee, Apis dorsata, swarms on the move James C Makinson, Timothy M Schaerf, Atsalek Rattanawannee, Benjamin P Oldroyd, Madeleine Beekman. Animal Behaviour 93, 191-199. Moving without a purpose: an experimental study of swarm guidance in the Western honey bee (Apis mellifera Linnaeus) James C Makinson, Madeleine Beekman. The Journal of experimental biology, jeb. 103283. Do small swarms have an advantage when house hunting? The effect of swarm size on nest-site selection by Apis mellifera Timothy M Schaerf, James C Makinson, Mary R Myerscough, Madeleine Beekman. Journal of The Royal Society Interface 10 (87), 20130533. 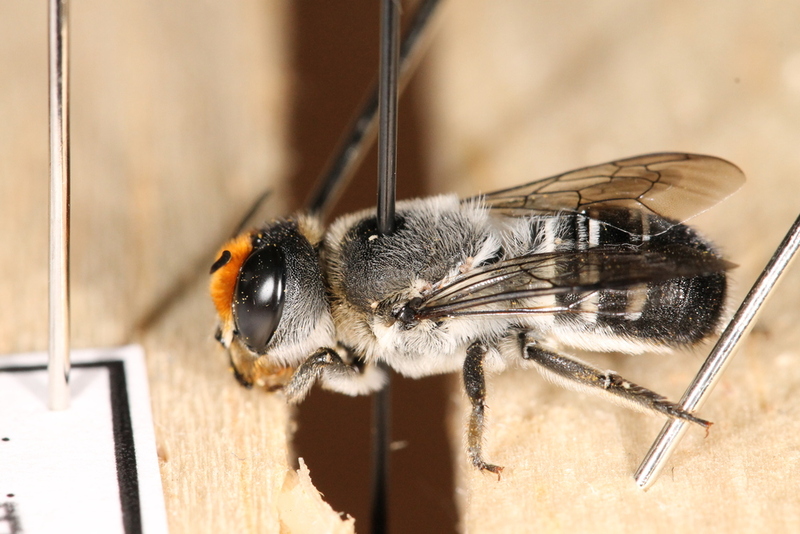 Inaccurate and unverified information in decision making: a model for the nest site selection process of Apis florea Timothy M Schaerf, Mary R Myerscough, James C Makinson, Madeleine Beekman. Animal Behaviour 82 (5), 995-1013. Moving home: nest-site selection in the red dwarf honeybee (Apis florea) James C Makinson, Benjamin P Oldroyd, Timothy M Schaerf, Wandee Wattanachaiyingcharoen, Madeleine Beekman. Behavioral Ecology and Sociobiology 65 (5), 945-958. Honeybee, Apis mellifera, guards use adaptive acceptance thresholds to limit worker reproductive parasitism Nadine C. Chapman, James Makinson, Madeleine Beekman, Benjamin P. Oldroyd. Animal Behaviour 78 (5), 1205-1211. A dead megachilid bee (Megachile erythropyga) drying on a pinning rack. Book Review: Honey Bees of Borneo – Exploring the Centre of Apis Diversity. Australasian Beekeeper. January 2011. A large meat ant (Iridomyrmex purpureus). Bee-haviour (ft. James Makinson). Science Mixtape, a podcast produced by Soho Radio London. 30 June 2018. Interview on BBC Radio 5 Live. 5 August 2016. Interview on The Conversation Hour. 774 ABC Melbourne. 9 July 2014. Interview with Alice Workman. NEXT FM – 100.7. 30 September 2011. Cool bee facts. 2ser FM – 107.3. September 2011. The comb of an Asian honeybee (Apis cerana) colony. Lost in translation: interspecies waggle dance communication in Asian honeybees. XVIII Congress of the International Union for the Study of Social Insects. Brazil. August 2018. Bees in Space: using radar to track bumblebees and honeybees. St Albans Beekeeper’s Association. October 2017. Bees in Space: lifelong tracking of bumblebee foragers and honeybee drones using harmonic radar. AGBIO 2017, Bangkok. February 2017. Bees in Space: lifelong tracking of bumblebee foragers and honeybee drones using harmonic radar. HFSP Symposium, Aspet. December 2016. Learning from the East: What Asian honey bees can tell us about the evolution of complex behaviours in Apis. The Central Association of Bee-Keepers Kenilworth Weekend. November 2016. Liquid gold rush: trapline formation in foraging bumblebees. Behaviour 2015. Cairns Convention Centre, Cairns, Australia August 2015. Space use by bees radar tracking of spatial movement patterns of key pollinators. Derbyshire Beekeepers Informal Monthly Indoor Meeting. March 2015. Collective decision-making in Asian honey bee swarms on the move. XVII IUSSI International Congress. Cairns Convention Centre, Cairns, Australia August 2014. From Backyards to Bush: The bees of Sydney. Willoughby Council Community Garden. May 2014. The honey bees of Asia: Shedding light on some little-known insects. Hammond Care Carers Café. April 2014. 1st Year Biology Welcome address. School of Biological Sciences Welcome Day for New Students. University of Sydney. February 2014. The fast and the furious: nest-site selection in the giant Asian honey bee (Apis dorsata). Illawarra Beekeepers Association Inc. April 2013. Collective decision-making during swarming in two open nesting honey bee species (Apis dorsata and Apis florea). Combined Biennial meeting of the Australian Evolution Society and the Australian Section of the International Union for the Study of Social Insects. Geelong Botanic Gardens, Geelong, Australia. October 2013. Student Address. Sydney University School of Biological Sciences Student Awards Night. 24 May 2013. 1st Year Biology Welcome address. School of Biological Sciences Welcome Day for New Students. University of Sydney. February 2013. The fast and the furious: Nest-site selection in the giant Asian honey bee (Apis dorsata). EURO IUSSI 2012. Tuscany Inn Hotel, Montecatini Terme, Tuscany, Italy. 26-30 August 2012. Moving without a purpose: Using consensus signals to manipulate group movement in European honeybee swarms. ASSAB 2012. Geelong Botanic Gardens, Geelong, Australia. 26-28 June 2012. Cool Science! – Postgrad research at Sydney Uni. School of Biological Sciences Welcome Day for New Students. University of Sydney. 1 March 2012. Being a Biologist. Science Careers in Spotlight. Powerhouse Museum, Sydney, Australia. 24 November 2011. Collective decision-making in the giant Asian honeybee (Apis dorsata). Combined Biennial meeting of the Australian Evolution Society and the Australian Section of the International Union for the Study of Social Insects. Rydges Convention Centre, Townsville, Australia. 24-27 September 2011. House-hunting honeybees. GO (Graduate Options) Expo. University of Sydney. 22 September 2011. House-hunting honeybees. 3-minute thesis competition. University of Sydney. 7 August 2011. Collective decision-making in Asian honeybees. 1st Year Biology PhD Students. University of Sydney. 20 October 2010. Moving home: Nest site selection in the red dwarf honeybee (Apis florea). XVI Congress of the International Union for the Study of Social Insects. The Panum Institute, Copenhagen, Denmark. 10 August 2010. Nest site selection in Apis florea. Human Frontiers Science Program workshop. Crommelin Field Station (The University of Sydney), Pearl Beach, Australia. 22 March 2010. Nest-site Selection in Apis. Bee Research Meeting. Department of Brain, Behaviour and Evolution, Macquarie University, Australia. 28-30 October 2009. Moving home: Nest site selection in the Asian dwarf honeybee (Apis florea). IUSSI Australia branch Annual Meeting. Queensland Brain Institute, University of Queensland, Australia. 4 April 2009. Moving home: Nest site selection in the Asian dwarf honeybee (Apis florea). Bees and Bee Products. Faculty of Agriculture. Chiang Mai University, Thailand. 17-18 May 2008. Exposed drone comb and queen cells at the base of a red dwarf honeybee (Apis florea) colony.